52 days to go, but it starts today for our little family! Right after Halloween I start googling and planning for this year's theme. The past two years I had a gold and silver theme and now our family thinks we should move on to a more colorful one. I used a gold metallic net fabric that I bought at Joanns last year. I cut it to about 36 x 12 inches size, then I inserted the net fabric in between the garlands to create a fuller look. 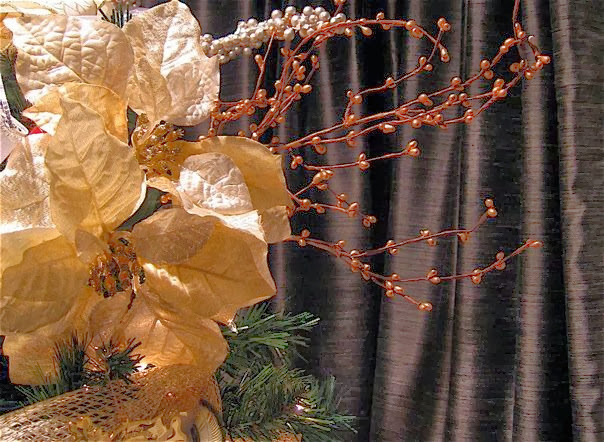 I added silver and gold berry garland and white poinsettia bouquets that I bought also at Joanns. 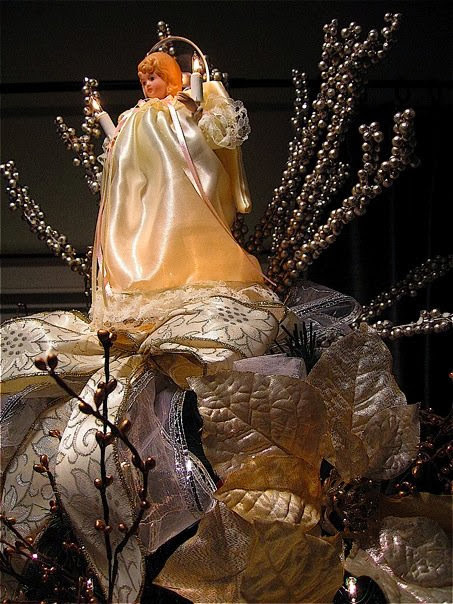 I finished it with an angel topper that sat on cream golden bows and gold floral picks. Looooove your tree! So creative and beautifullllll! I would like to do this next year for my tree. Question, did you hot glue gun the ornaments together and are the ornaments a long string wrapped around the tree?! Beautoful! 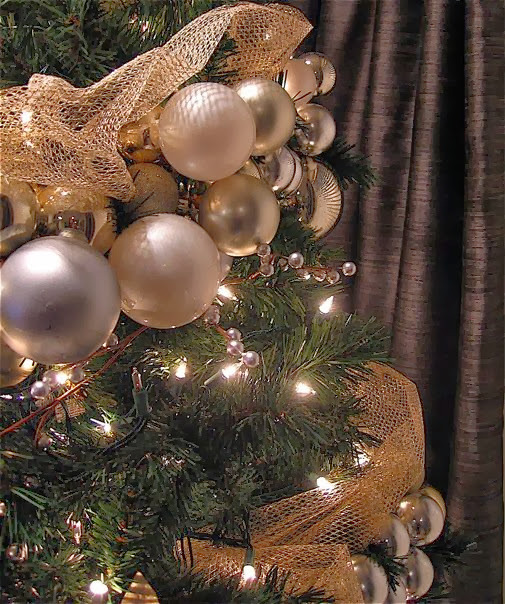 What length of ornament garland was necessary and how tall was your tree? Thanks Pretty Sweet! I used up all of the 60-ft quick cut wire. It wraps around the 7.5" tree. The number of christmas balls was I think more than 150 pcs. Gorgeous! How did you get the netting in between did you just curl it in? You said you cut it 36x12 inches but I'm confused at what you mean here? Ellevegas, the net or mesh that I used is 12 inch wide roll. I cut it 36 inches long (or maybe shorter if you prefer), and folded it in half, horizontally. Holding the open side, I inserted it in between branches and under the christmas balls. Once inserted, I try to open apart the folded side for that fluffy look. Hi Maori! I ran across your tree on pinterest and I just love it. I want to ask you how you got all the different size Christmas balls to string on the cut wire? Did you just place them all on there regardless of the sizes? Hi Alice. Yes, I just string them into the wire regardless of size. If you add a lot of balls it will go on to have a fuller look as you put them in. 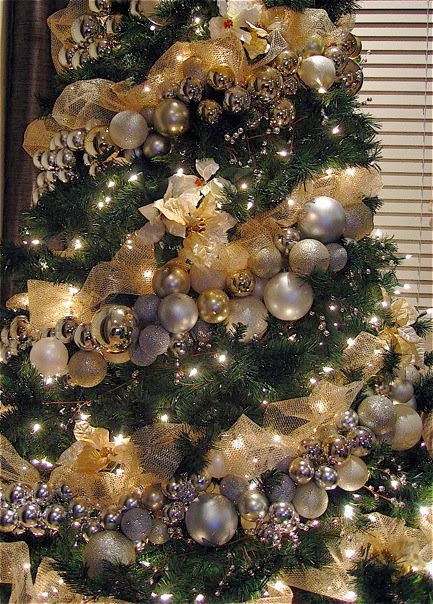 Love this look, I'll attempt this on my tree this year. I started to make the garland. It seems so heavy. Will it hold in the tree? Also have u go around ( wrap around) the tree with the garland? 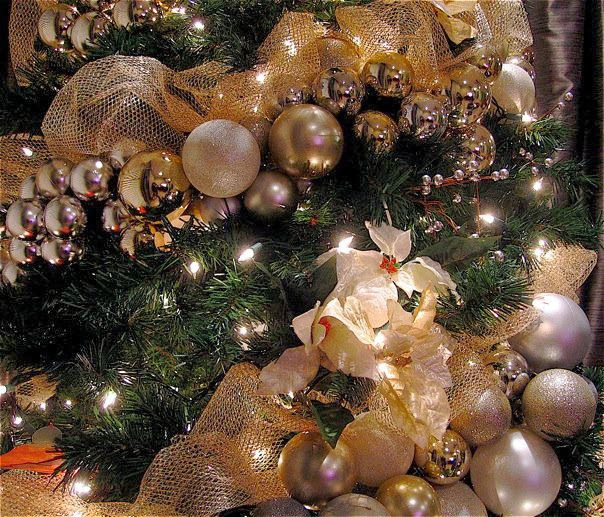 The branches of artificial trees should hold the garland. The wire branches can catch its weight. For the real ones maybe you have to tie it or lessen the number of balls if too heavy. Are the christmas tree lights at an angle as well as the ornament garland? 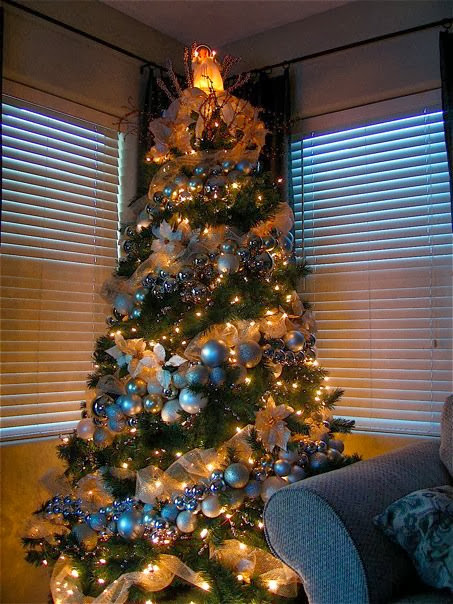 I would love to use your idea about the ornament garland around the tree diagonally. I have a couple of questions for you if I may ask. If the christmas tree was six and a half foot tall or seven foot tall how long should the garland be? I would want it to be a little bit more angled than yours. Secondly, I plan on using led lights that will be snowflakes and icicles that I want to be hung diagonally. How many strands of the lights would I need if they are to be placed at an angle? A place where I take note of the things I create and the good stuff I see around here. Come and join me as I enjoy the different seasons, holidays, and the other things in life.